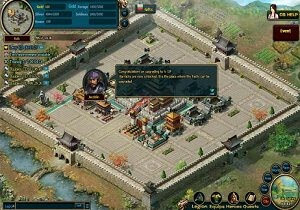 WarFlow is a free browser strategy game by Dovogame, makers of the hit game Business Tycoon Online. This time, players are the owners of a city and have to develop it into a sprawling territory. In this free MMO you improve your city with different buildings and upgrade them to offer better results. The best barracks will train more efficient soldiers, for instance. Keep an eye on Silver, the currency in the game that allows your army to remain a force to be reckoned with. Your heroes (choose from 300 different heroes) also have some special skills and can be equipped with items, proving more powerful in combat. In WarFlow, you don’t have to spend endless minutes waiting for a building to be finished. They are finished instantly so the player is able to focus on combat and the strategy it requires.